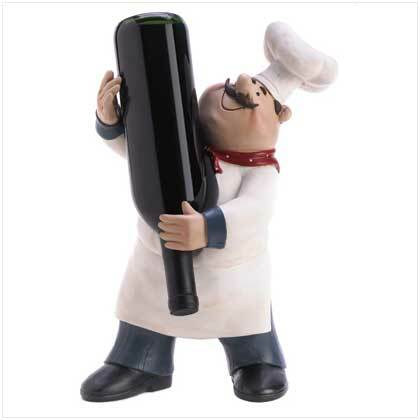 Happy Chef Wine Holder - FREE SHIPPING! 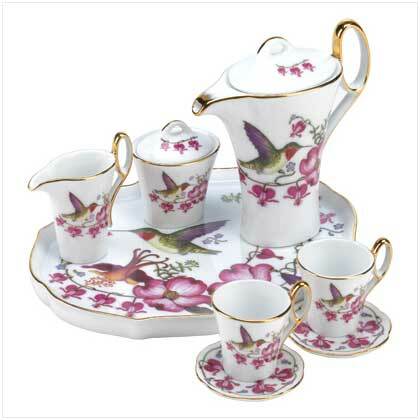 Hummingbird Mini Tea Set - FREE SHIPPING! 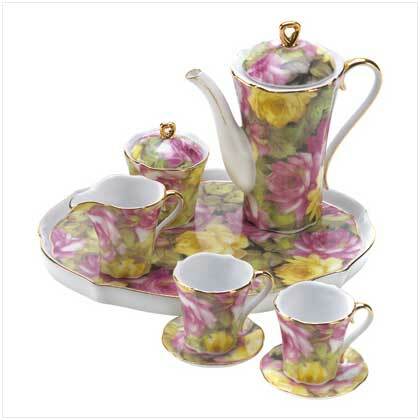 Rose Garden Mini Tea Set - FREE SHIPPING! Home :: Knives, Untensils & Flatware :: Gourmet Knife Set - FREE SHIPPING! 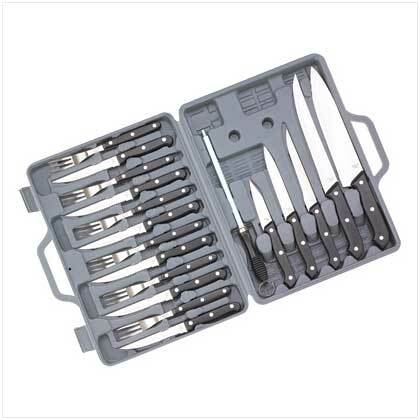 This 19-piece knife set features handsome stainless steel blades and riveted, heat resistant handles providing durable, long-lasting utility. Includes 6 steak knives and forks, large chef's knife, sharpener and much more! Hand wash only. 14'' x 12'' x 2'' high. Notify me of updates to Gourmet Knife Set - FREE SHIPPING!